The most stunning sceneries in the Philippines are not only found in its relaxing white beaches, blue lagoons or its mesmerizing waterfalls. Some of them can also be discovered only if one is daring and adventurous enough to trek and climb the country’s most breathtaking mountains. 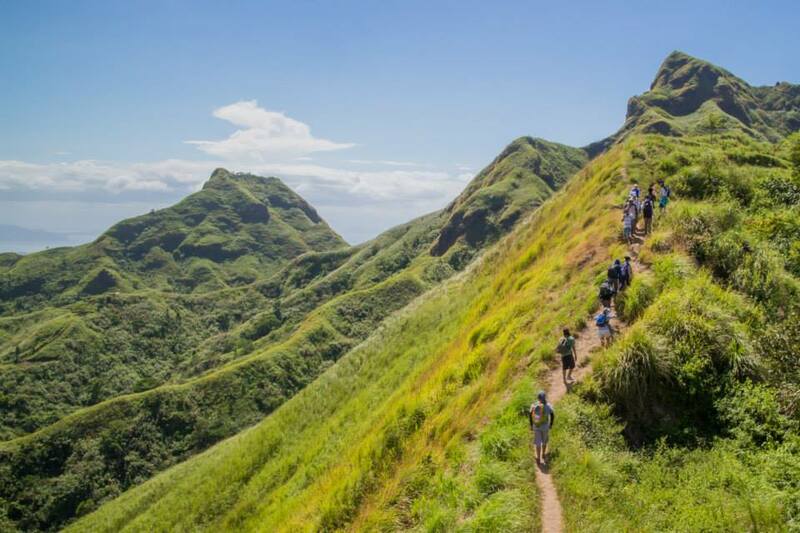 From beginner climbers to advanced mountaineers, the Philippines has a long list of picturesque trails that are perfect for hiking, trekking, and climbing. These overwhelming sights can be found in the country’s highly mountainous regions, and this article will help you add some items on your bucket list. Here are the most spectacular Philippine mountains that you need to climb in this lifetime. Philippines’ longest mountain range, the Sierra Made, is a well-known hiking destination in the country. 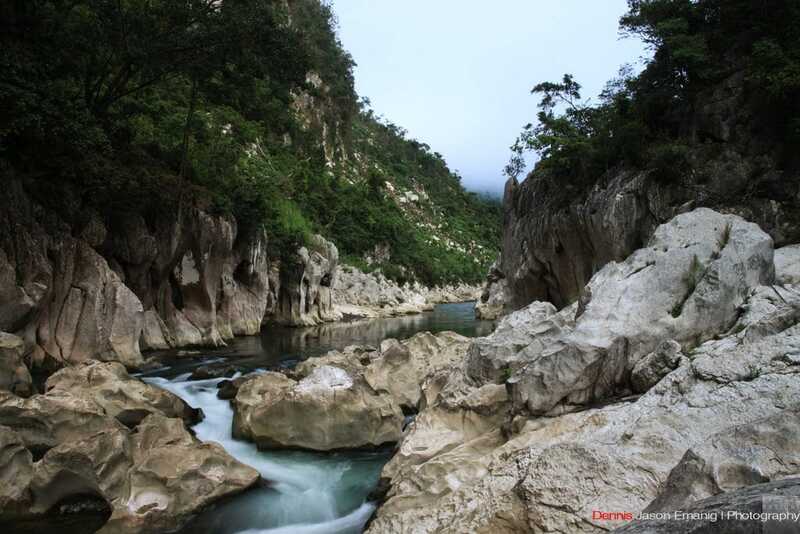 Located in Rizal, just a few hours away from Manila, it’s the home to the ethereal Mt. Daraitan. Aside from the stunning sceneries that the mountain’s peak can offer, upon decent, you will be treated with another mystifying wonder that is the Tinipak River, as well as other equally stunning areas that climbers can fully explore. Camping out and spending the night is an exciting activity that you can do here, giving you more time to experience everything that this hiking paradise can offer. From its caves, river trails and springs, you have plenty of activities to enjoy with your friends. 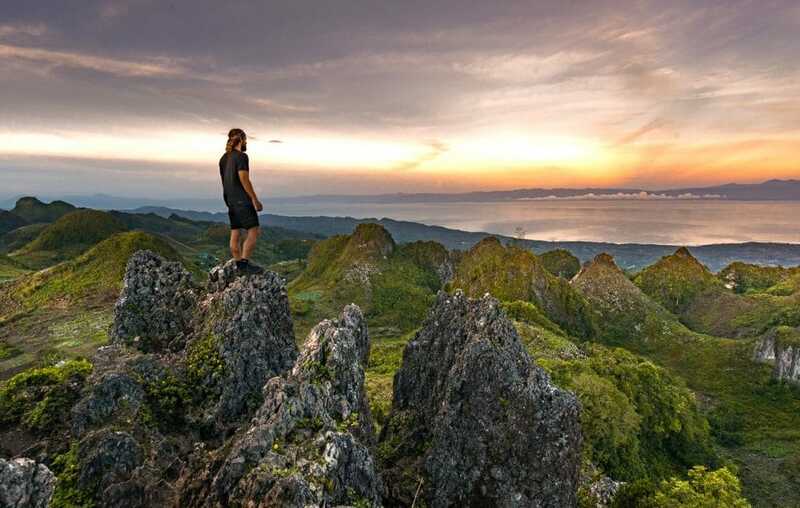 Cebu’s highest mountain, known to local and foreign climbers as the Osmeña Peak, is over 1,000 meters above sea level. While it is one of the highest peaks in Central Visayas, it’s a friendly hiking spot for beginners. Whether it’s your first time climbing a mountain or not, the trails to Osmeña Peak offer exciting adventures and sights that can never be found anywhere else. The trail’s chilly and foggy atmosphere makes the journey a surreal experience. The mountain and its surrounding structures are characterized by rugged terrains, and the peak allows you to fully see Cebu province and its neighboring islands. If you’re looking for a once in a lifetime climbing trip, why not head over to Tarlac in Pampanga and experience Mount Pinatubo? In fact, for those of you who are not familiar with this Philippine destination, Mount Pinatubo is not just an ordinary mountain; it’s actually a volcano. Mount Pinatubo became famous in the world because it was responsible for the second biggest eruption that happened in the 20th century – that’s after hundreds of years of being dormant. Before this catastrophic event, the mountain stood proudly at 1,745 meters. 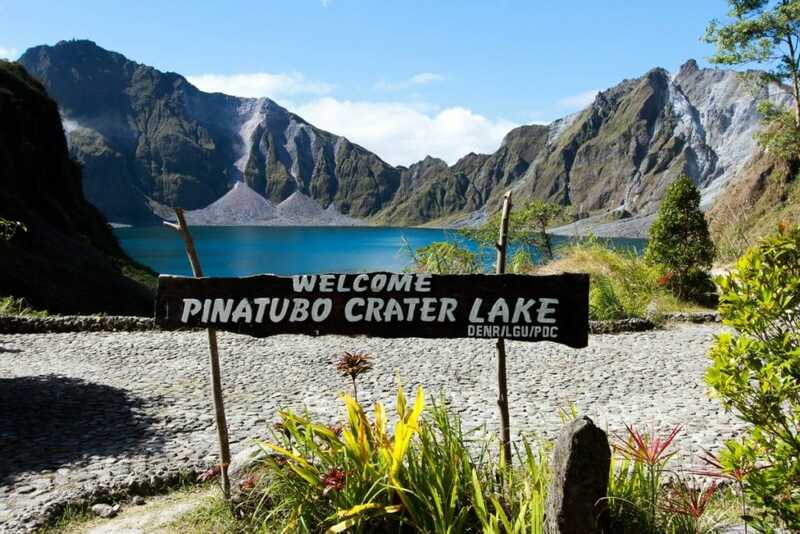 At present, Mount Pinatubo is a peaceful climbing destination that is surrounded by sand, valleys of ashes, and offers a crater lake with clear blue waters. For beginner climbers near Manila, Mt. Batulao is a perfect destination where you can experience a peaceful and fun hiking trip. In fact, it’s one of the easiest and newbie-friendly summits in the country, thanks to its gentle and smooth slopes. The view from the peak of Mt. Batulao lets you see a huge part of the provinces of Batangas and Cavite. In just three hours of easy climb and trek, you and your friends can enjoy a well-equipped site for overnight or day camping. Now, this destination is not meant for those who have a weak heart – and we mean it both literally and figuratively. 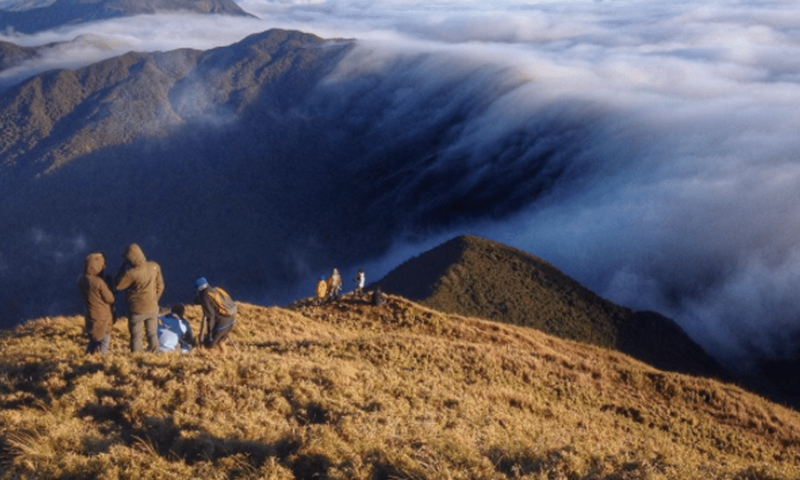 Located In the northern part of the Philippines, Mount Pulag is dubbed as the “dwellings of the Gods”, presenting tough and challenging trails for expert and experienced climbers. Overnight camping and stargazing are the most popular activities for climbers ascending Mt. Pulag’s peak. Away from the light pollution of the big city, you’ll have the clear night sky all by yourself – with the fascinating view of the Milky Way Galaxy, making it perfect for sky watchers and astrophotographers out there. Climbing this mountain, just like other mountains in the country requires the necessary permits and fees. 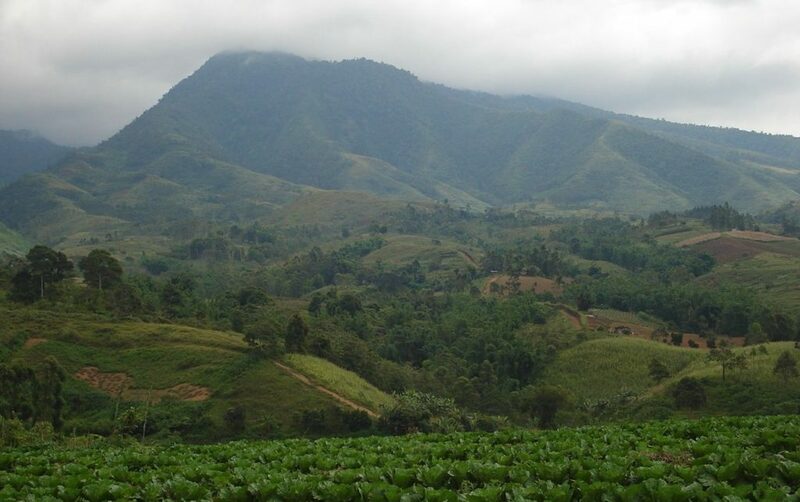 Bukidnon is not just famous as a chilly mountainous paradise, but it’s also a home to one of the most stunning mountain range in the country: Kitanglad Mountain Range. Aside from its rich biodiversity, Mt. Kitanglad offers more than just climbing and hiking. Its lavish greeneries and peaceful virgin jungles make this particular location extra special. As a mountain range, it is composed of large mountains. Dulang-Dulang is Kitanglad’s highest peak that often poses a challenge for more experienced climbers. Take note that this mountain range may take five to six hours to climb, so make sure that you have the right endurance and stamina to take on this adventure. 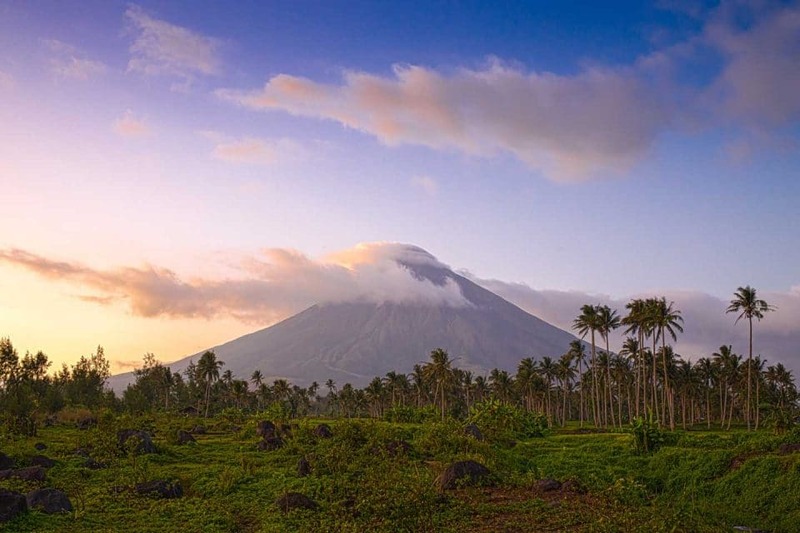 Unlike Mount Pinatubo, Mount Mayon is a highly active volcano. While it’s a popular background for travel photographers especially because of its perfect cone shape like Japan’s Mt. Fuji, it’s also famous as a climbing destination for adventurers and thrill seekers alike. However, you have to remember that reaching Mt. Mayon’s peak is not an easy feat. In fact, you’ll need 2-3 days to fully reach its summit. The trails are not beginner-friendly, and only endurance climbers have been able to conquer its challenging terrains. Before deciding to take on Mt. Mayon, experts advise that you contact the local government’s volcanologist center to keep track of possible volcanic activities. Also, take note of the weather forecast since even light showers can result in more hostile trails. With this list, you can finally start your adventure and conquer the Philippine’s most stunning mountains. However, just like any trip, you have to plan ahead and plan wisely. Take note of the permits and fees that you need, travel with friends or join hiking trips with locals. Also, keep in mind that having the right tools and trekking gears can make a huge difference. Hiking shoes, appropriate hiking outfit, and standard trekking poles are just some of the basic items that you’ll need. Bring only necessary items during the hike. Do your homework and make sure you’re not missing anything. Hopefully, this article has helped you discover more reasons to visit and travel the Philippines. Good luck!